The Rising sign is also called the Ascendant. As mentioned, it is found at the cusp of the first house. It is the sign that was on the Eastern horizon at the moment of your birth. Picture the heavens as a tube with you as a baby at the very center. You can see the horizon all around you. Whichever sign was directly east of you, rising along the same path we see the sun rise each morning, is your ascendant. The ascendant changes pretty rapidly. This is one reason why it is important to have an accurate birth time and place for your horoscope. The ascendant determines the position of each of the Houses in your horoscope. Without it it can be impossible to get an accurate interpretation of your whole chart. Some astrologist place the greatest emphasis on your rising sign, and say it can be more immediately revealing than you Sun sign. They consider the planet that rules your rising sign to be the ruler of your chart. The ascendant is what connects the earth to the rest of your chart. It represents your appearance in the world both that this is the moment you first appeared on this earth and the way you look and appear to other people. It’s the image you project. This includes the impression you make on others and the way you take action. It is your distinctive style of interacting with people. It speaks to our coping mechanisms and how you react to the challenges and joy that life sends your way. In some ways it is like mask you wear because it is what people see first and sometimes it is the only part of you people interact with. But unlike wearing a mask, your ascendant is not false or misleading, you aren’t trying to hide anything with your outward appearance. Your ascendant is a true part of yourself, even if it’s not the you that you know. The personality you probably know best is the Moon sign which is usually entirely hidden from others. What you project outwardly is almost always a perfect blend of your Sun sign and Rising sign. Your Sun sign is your true self, but it’s more like the frame of a car which isn’t visible under the doors, bumper and shiny paint. But all of these pieces are equally part of the car. So the rising sign is kind of like the style you wear which implies the kind of person you are. You are adventuring, pioneering, confident and at times a bit aggressive. You are a natural leader and are often turned to to be the decision maker in groups of people. It is likely that you are popular and social, and the center of your social group. At times you are ego-centric and domineering. You are known for loving beauty and being a collector of lovely things. Even if you have a modest income, you have a beautiful home and a gorgeous wardrobe. You have a very sensuous personality, loving to experience each of the senses. You rarely change your mind once you make it up, but you’re careful not to push your opinions on others. You are witty, charming and forever the social butterfly. You know everyone and also know how to connect them to their needs. But you are not great at intimacy, you don't like it when people get too close! You dress in the latest fashions not simply because you love to be in style, but especially to have something to talk about at the water cooler or the cocktail party. It is said that Cancers are "the mothers of the zodiac" but this is not quite true. Sure, it’s a very nurturing sign, but you don't want to nurture everyone. You do however want to improve everyone! You can be counted on to gently (sometimes) nag family members, friends and coworkers to quit smoking, go on that diet, find a better job or to finally get married. You just want to see people happy and healthy—the way you think they would be happy and healthy. You are kind of a neat freak. You don’t care so much about the finer things in life—you’d rather save your money for a rainy day. As a Leo, you are the star of the zodiac. You love to draw attention to yourself. You are the top salesperson in the office, have the best house on the block, and make the best pie at the state fair. You’ll be glad to "top" someone else at just about anything—and often you do. But you are simply lovable, even if you are a show off. You have a deeply generous heart and would give you the silk shirt off your back if someone needed it. You write big fat checks to charity, even if you do brag about it a little too much. You are always dependable and the person that steps in to help when a crisis hits. You’re all about service. Caring for other people is important to you in ways that other signs don't completely understand: it is a true mission. You are known for keeping things organized and spotless but can be a bit fussy at times. You are loaded with charm, grace, and poise and you totally know how to use that to your best advantage. You revel in good times and are optimistic about the future. It doesn’t take much to throw you off balance, though. When you see injustice or unfairness you fall into despair and depression. You are admired for your intensity. Some people confuse this with a horrible temper but it’s just that you are so passionate and you aren’t afraid to show a little vulnerability especially for the sake of your loved ones. You never do anything half-heartedly. Your willpower and determination are formidable. You favor independence and freedom, you can’t stand to be stifled by work or someone else. You are most known for your light-hearted and friendly way. You have a great sense of humor, and can make anyone laugh! You have great natural charisma. You are the type of person that is great with a crowd of people and you know how to encourage people to get along. Some people are a little afraid of the Capricorns. You have a great reputation for being so very serious. But when people get to know you, they realize this is not quite the case. What you are truly known for is being very responsible. You are maturing wise far beyond your years. But that doesn't mean you don’t know how to have fun: you do. You are just much more rational about your fun than the rest of us! Nobody can say you aren’t unique. You simply think a little differently. You are creative, in ways that shape our world today and for tomorrow to come. You will do best when you let your freak flag fly. You make friends easily due to your quick-wit and honesty. Your idealistic outlook on life gives you a reputation as an unrealistic dreamer. You have a sensitive soul and natural psychic abilities, which you use both for personal gain and for the greater good. You are very sentimental, often focusing your attention on the past. Sometimes you manipulate people into feeling sorry for you so they'll do your errands or maybe lend you something till payday. But for the most part you use your sensitivity to care for others—and you do care about everyone and support many causes. In reading the description of your Rising sign, keep in mind that it doesn’t show the whole picture of you. You are a blend, and your Ascendant is only part of your personality. By examine yourself you can begin to discover which parts of you are your Sun sign, which are your Moon sign, and which are your Rising sign. 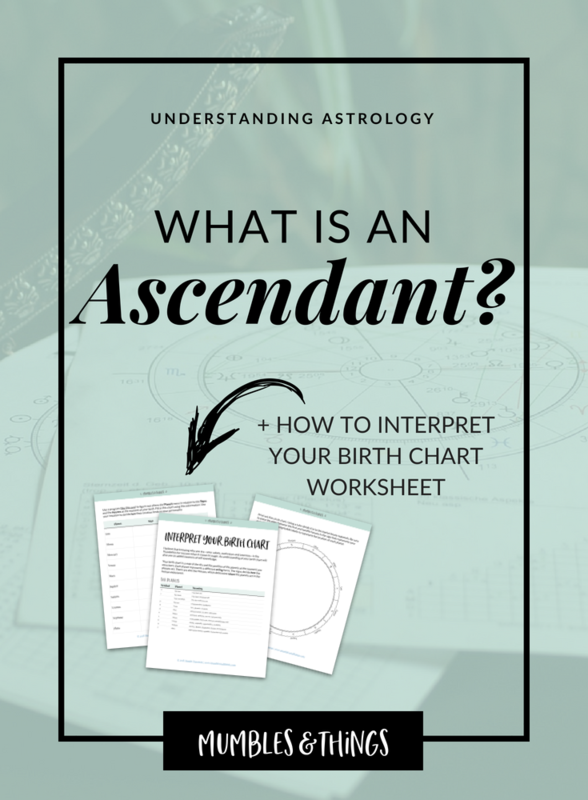 Interpret your entire chart—Ascendant and all—using this free worksheet. Click the button, enter your info, click the download link, print or save to your computer. Tell me about your rising sign in a comment below. Does this post describe you?